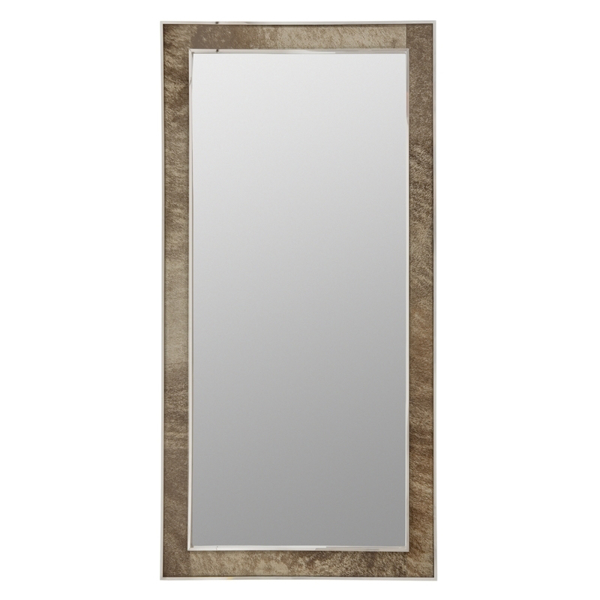 Inject stylized appeal to your rustic design with this attractive floor mirror. A polished Stainless Steel frame offers a gleaming quality, and is complemented with stunning hair-on-hide insets that bring character and dimensionality. Dimensions: W 35" x D 1.75" H 70"